Recent innovation has resulted in substantial progress in the development of the enabling technologies that lay the foundations for taking connected and autonomous vehicles mass-market a very real possibility. Such progress is coming largely from tech giants and innovative start-ups who are tapping into the market – Tesla has announced it plans to put driverless cars on the road by 2020, while Waymo has already started to pull ahead of traditional automotive players and has clocked up 10 million autonomous miles on public roads. Of the 56 companies who held a permit to conduct autonomous vehicle tests in the state of California in August 2018, an astonishing 71% are tech-native companies. Read the full perspective, "Securing top tech talent is key to car manufacturers' survival," at Forbes.com. 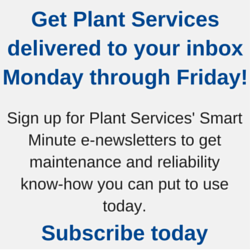 See also: "3 steps to recruiting and retaining top talent," on PlantServices.com.